NAME / TOYO KOGYO CO., LTD.
・Design and Manufacture of netting machine. Click here for details. ・Design and Manufacture of Exclusive machine　Click here for details. ・Production of the various shafts　Click here for details. ・Parts processing　Click here for details. ・ AMIKAN CORPORATION / 11-12, Tomidahamamoto-cho, Yokkaichi-city, Mie-Pref., 510-8007, Japan. ・ TOYO DENKI CO., LTD.／13-16, Hamada-Cho, Yokkaichi-city, Mie-Pref., 510-0067, Japan. BELL CORPORATION／4-16, Sakaemachi, Yokkaichi-city, Mie-Pref., 510-0084, Japan. TOYO KOGYO CO., LTD. was established by AMIKAN FISH NET MFG. CO., LTD. (AMIKAN CORPORATION), having separated its iron works division. And started manufacturing and selling the netting machines. Started manufacturing and selling machine tools, lathes, planers and press molding machines. Started manufacturing the motor shafts as the cooperative factory of Fuji Electric Mfg. Co., Ltd. Mie Factory. Designated by the Minister of Commerce and Industry as the most important factory for the manufacture of netting machines. Started manufacturing the valves as the cooperative factory of Hitachi Mfg. Co., Ltd. Kuwana Factory. Developed the knotless netting machines and started sales. 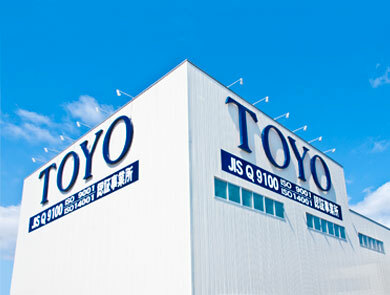 Separated the electric goods division of TOYO KOGYO CO., LTD. and established TOYO DENKI CO., LTD. Separated the Projector unit sales department of TOYO KOGYO CO., LTD. and established TOKO SHOKAI CO., LTD. Constructed the branch factory named Hironaga Factory in the Yokkaichi Machine and Metal Industries Complex. Constructed the new factory for the production of the valves in Hironaga Factory site. Constructed the new head office in the main office site. Delivered the new model: TN to the textile laboratory in the Siga factory of Toray Corporation for the study and development of the raw material for fish nettings. Started to assemble the netting machines in Scotland with the coraboration of W & J Knox, Ltd. and Cosalt Ltd. Constructed the new factory for the manufacture of the knotless netting machines in the main factory site. Developed and started sales of the spoch-making high-efficiency machine model: TNT. Developed and started sales of the circular-type knotless netting machine model: NO, RO and LO. Developed and started sales of the automobile inspection system. Began to deliver the automobile assembling equipments to Honda Motor Co., Ltd. in Hamamatsu and Suzuka. Celebrated the 50th anniversary of its establishment and also 100 years anniversary of its foundation. Appointed as the exclusive agent of Komatsu Engineering Co., Ltd.
Extended the valve factory in Hironaga Factory site to increase the production. Constructed the new factory for the manufacture of the automobile assembling equipments and other exclusive machine tools in the main factory site. Developed and started sales of the epoch-making high-speed double knot machine model: CAD for filament twine. Installed Double column type machining center with five-face machining with 8 meters length table. Developed and started sales of the high performance netting machine: model JA for the medium thickness twine. Completed the quality inspection room with Three-dimensionhal measuring instrument. Installed Wire electric discharge machine. Developed and started sales of the large package type high-speed double knot machine model: LA for filament twine. Developed and started sales of the large package type high-speed single knot machine model: KZ for thick twine. Started the overseas production of netting machines at China factory in Zhangjiagang City. Installed Double column type machining center with five-face machining equipment with the pallet changer. Celebrated the 70th anniversary of its establishment and also 120 years anniversary of its foundation. Installed Table type horizontal boring milling machine and Horizontal machining center. Installed Computer Numerical Control Lethe and Centering machine. Developed and started sales of the Large -capacity strong knot tightening mechanism equipment single knot machine model: JN. equipment manufacturing, selling and metal processing. (C)TOYO KOGYO CO., Ltd, All Rights Reserved.